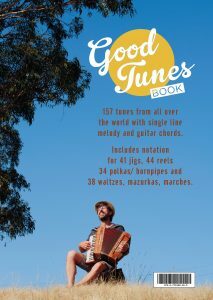 The first edition of the Good Tunes Book was released at the 2016 National Folk Festival in Canberra, Australia. 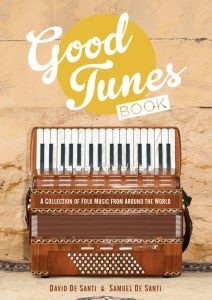 It is a collection of 157 folk music tunes from around the world. It includes 41 jigs, 28 polkas, 44 reels, 6 hornpipes, 27 waltzes, mazurkas, 11 marches, airs. 66 pages. 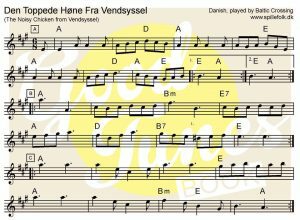 The search for a ‘good tune’ is never ending for session players! This collection of favourite tunes has been a long time coming. Over 30 years for David! Samuel’s interest in folk music has been since he could hold a fiddle as a toddler! These tunes are from all over the world. They’ve come from old records, cassettes, CDs, live gigs, sessions, other tunebooks and the web. 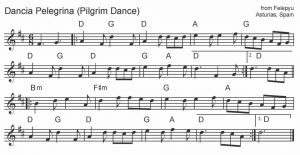 We’ve had to transcribe some from scratch and others we’ve tracked down notation. This collection adds to the other collections of Australian and Italian tunes that David has prepared. This music publishing journey began in 1990. Anyway, enjoy some good tunes and musical good times!